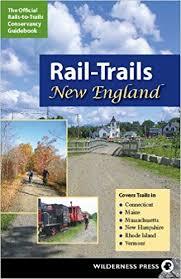 The Assabet River Rail Trail is a multi-use paved cycling path running through Marlborough, Hudson, Stow, Maynard, and Acton Massachusetts, following the abandoned Marlborough Branch of the Fitchburg Railroad along the Assabet River. 5.6 miles of the section from Marlborough to Maynard have been completed. Eventually the trail will be 12 miles long, extending north of Maynard to the South Acton commuter rail station.